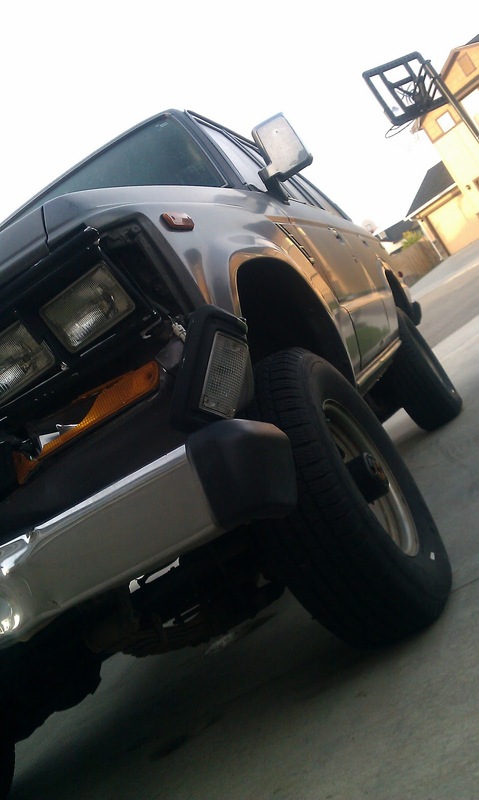 Two weeks ago today a lady slammed into my husband’s Land Cruiser while he was waiting at a stoplight. The witness said she didn’t hit her brakes. And there were not any skid marks. She hit him hard enough for her plastic sedan to move his FJ62 a car length, and the pickup truck in front of him, shoving both into the SUV in front of everyone. Texting? I think the hardest thing for him, besides the pain, was that there wasn’t anything he could have done to prevent it. He is a good driver, defensive and alert. But you just can’t protect yourself while stopped. But God is good. One reason–He thwarted my husband’s plans to get a motorcycle this summer. The story would have a different ending. Do you have any praises or things you are thankful for in your current trial?